As companies look ahead to 2019 and where they should be investing in IT, cloud is bound to be on the agenda. But what do the latest cloud cost comparisons look like and who should be investing in cloud? How does cloud stack up against on-premise? Ultima has recently researched the cost of cloud vs on-premise computing and found some interesting comparisons. 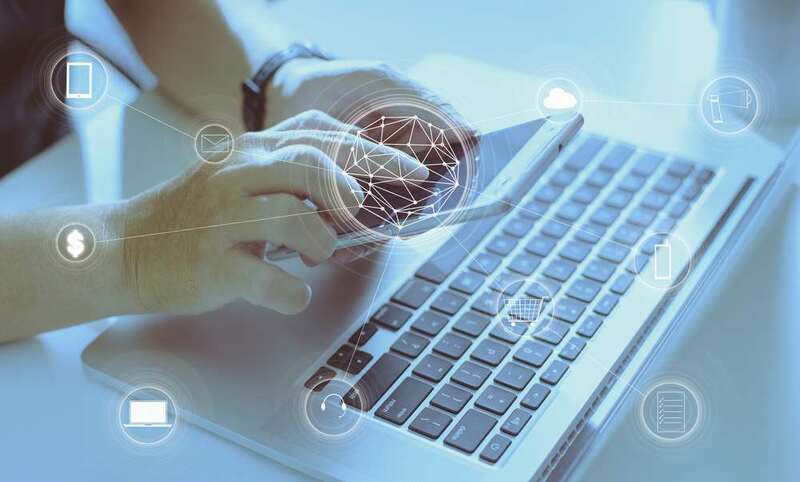 Importantly, because of advancements in software that can be deployed, the functionality of on-premise platforms has increased drastically allowing organisations to consume on-premise IT in a similar manner to public cloud. 4 vCPUs (virtual central processing units)per virtual machine. 16GB RAM per virtual machine. 256GB storage per virtual machine. Public cloud platform based within the UK. Public cloud paltform based within the European region. A modern infrastrucutre based on software driven server, storage and networking. A hyperconverged platform, where the compute and storage scale linearly together. A traditional IT infrastructure, a hardware driven platform that lacks flexibility. Even with the additional functionality all of the on-premise, costs have dropped. 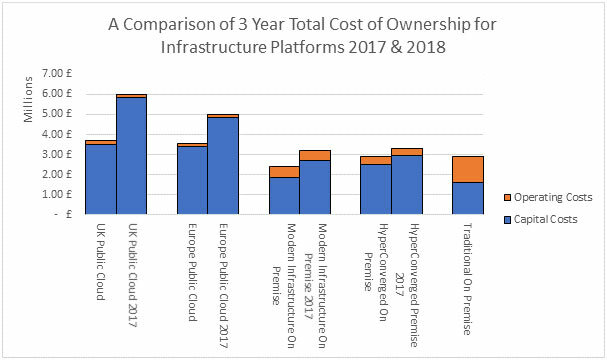 The same can also be said for the cloud costs, given how new the UK platform was last year the costs here have dropped drastically. The graph shows how some costs have been changing at a far more rapid rate than others. For smaller businesses despite this year’s reductions the cost of running on-premise systems is still a prohibitive overhead, therefore SaaS (Software as a Service) and IaaS (Infrastructure as a Service) still work more effectively. * NB: Traditional On Premise wasn’t on 2017 costs. Another important aspect of this analysis is based on a static and predictable workload, however, in the ‘real’ business world not every application is of this nature and businesses need to take this into account. Workloads that vary widely throughout their lifecycle may well end up as hybrid or fully public cloud workloads. As businesses evolve and grow in the next year there may be a need to use applications that can leverage alternative capabilities that cloud services can provide, such as machine learning, if this doesn’t exist on-premise. For example, if a business is using VDI (Virtual Desktop Infrastructure), but it is only being used between 9am-5pm in the UK, it could utilise the cloud and auto scaling to reduce the cost during the night; whilst still enabling the business to utilise the number desktops needed during the day. The other option is to re-architect applications to take advantage of PaaS (Platform as a Service) and SaaS technologies. If this is carried out, then the costings will improve too. Businesses using cloud services might not look to pocket these savings, but to reinvest them in order to gain a higher level of functionality within the platform. This could include software for automation and network virtualisation. Increased competition in the network virtualisation world with two goliaths fighting for control (Cisco with ACI and VMWare with NSX) should also be good news for businesses looking at these types of technology.